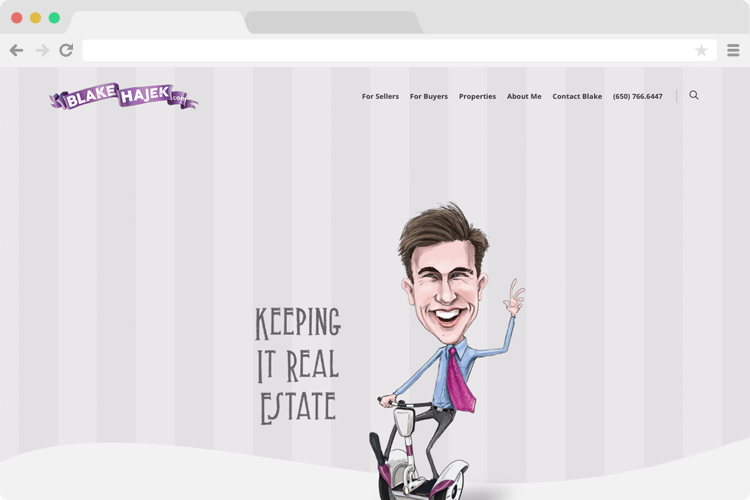 Blake Hajek is a premier real estate agent in Palo Alto, California. He is the most successful agent in the United States under the age of 30 years-old. He is well known in the Silicon Valley as the “Segway Realtor”. You may see him on his Segway next time you’re in downtown Palo Alto. You can’t miss him… he looks just like his caricature.